Feast for the Eyes. Set the table with a special treat. Food is optional. Sami Ruotsalainen designed the simple, clean shape while Maija Louekari created her Siirtolapuutarha pattern for the forms in the collection so that each piece tells a different part of the story. Together they inspire fresh flavors and new table settings for your next meal. Mix and match with other patterns for a medley of colors. The white stoneware has a long lifespan and a pattern that won’t fade or wear off. 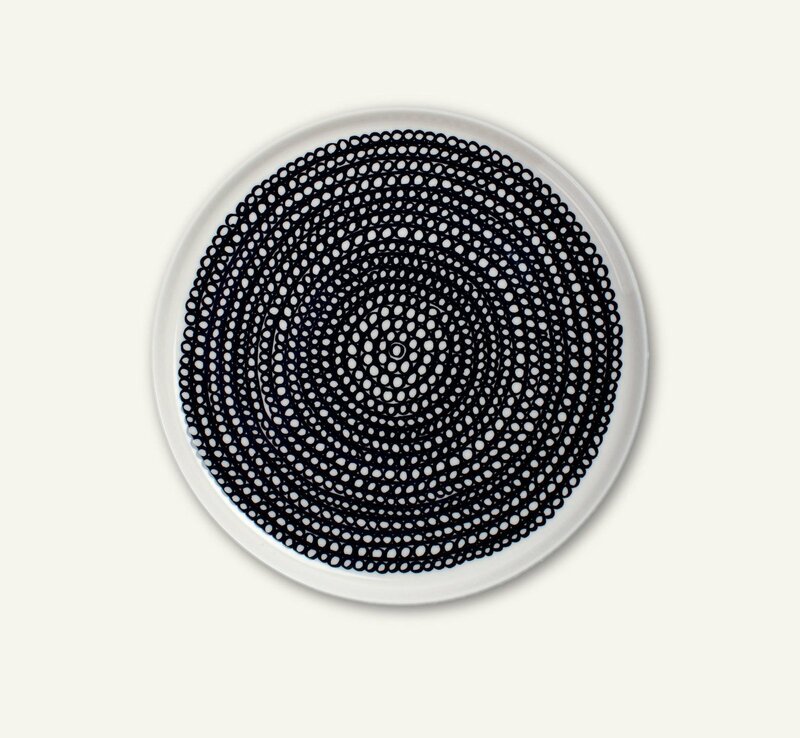 Part of the Oiva dinnerware collection created just for Marimekko. Keep in mind the collection is dishwasher, freezer and microwave safe.